Many thanks to Random House for providing an ARC copy of this book via Shelf Awareness. The copy I received had a plain blue cover which left me wondering what the story inside was all about. But when I started to read the book on a flight to the states, it turned out to be an honest, tough and true story of modern military. Donovan Campbell writes a straight and true story about his tour of Iraq, and in particular the troublesome and explosive city of Ramadi. This is not a story of valour, patriotism and noble deeds (though you will find them in the book). Instead this is a gritty and honest account of how soldiers work, live and fight together and about the bonds than strongly tie them together. Campbell, an officer, honestly discusses his worries and concerns about being a leader of men. He tells us about the quirks, foibles and characters of his men, letting you realise that these are normal men who are not doing a normal job. Campbell does not take us into the politics of the Iraq situation, but he does raise interesting questions. How do American marines operate in a tense and explosive city while trying to maintain friendship and civility with the local population? How do you handle civilians in a firefight situation? These are the dilemmas of modern, urban warfare which Campbell and his men had to face. This is a book that is deserving of reading - whether you are pro-America in Iraq or not. You will learn about the challenges and trials faced by ordinary men on the ground. They live in cramped, uncomfortable quarters and they work in a deadly job. Whatever your political affiliations are, you have to admire the men. That is the strength of Campbell's story. I received a copy of what I can only call this coffee-table book through the LibraryThing Early Reviewers group. I don't know what criteria they use to select readers, but this was definitely an odd choice for me. I don't think that I would have any other books in my library quite like it. However, I've been lately getting into photography, so despite the saccharine subject matter, I did look forward to the book. To be honest, the book isn't to my taste. This doesn't mean that it isn't adorable, nor packed to the brim with adorable baby photos and titbits of baby lore. I think that any pregnant woman or recent mother will adore this book. It's well-executed and beautifully presented. However, I did find some of the photos repetitive, but then again, I suppose that there are only so many ways in which to photograph babies. But Rachael Hale does a good job of it. If you know an expectant or recent mom, then consider buying this for the baby shower. It is beautiful and would make an exquisite gift. 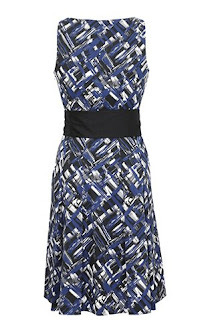 I bought this dress in the sale at the Coast outlet in House of Fraser in Dundrum Town Centre. It was marked as €59, but when I went to pay at the till, there was a further 10% discount due to the exchange rate differences between sterling and the Euro. It's a really nice simple dress and I'm thinking that it will make a great multi-purpose dress and will even do for work. All I need to find now in the sales are some nice cardigans and I'm sorted. On our first night in Washington, we wandered around for a while, but when our hunger got the best of us, we started to look for somewhere to eat. We walked past the basement entrace to the Malaysia Kopitiam, and decided that it looked worth a go. Little did we realise that we had stumbled upon a little treasure. The Malaysia Kopitiam is a regular guest in Cheap Eats and Best Restaurants lists and it's easy to see why once you've been there. Located in a basement on M Street, the Malaysia Kopitiam offers some of the finest Asian food I've eaten. The menu is extensive, but comes with a binder containing photos of all the food on offer. We had chicken and lamb satay skewers to start with, which were freshly grilled and served with plenty of satay sauce. For mains we chose Singapore Noodles and Beef Rendang. The rendang was generous and beautifully tender. I've often made rendang at home (or at least what I thought it was) so it was good to taste the real thing and realise that I wasn't that far off the mark at home. Service was super courteous and attentive throughout and the bill was a very pleasant surprise. Next time I'm back in Washington, I'm definitely heading there again. Malaysia Kopitiam, 1827 M Street NW, 20036 Washington D.C.
America is the country of eating well. Everywhere we went, we encountered huge portions, the friendliest service and excellent value. We ate like kings during our week in the states, and here is a summary of the best. When we came off the turnpike into Bedford, Pennsylvania, I was exhausted. I had just driven for approx 2.5 hours from Dulles Airport. It was my first time driving in the states, and I had been given a "medium" car by the rental agency. Of course I should have realised that in American-speak, a medium car is somewhat equivalent to a tank by Eurpean standards. I actually loved the Ford Fusion that I drove in the states, but I was glad to get off the road at the end of that first day. Once we'd checked into the Quality Inn in Bedford, we ventured out to see what was around. There were the usual cluster of fast food outlets, but we also found the local treasure that was Ed's Steakhouse. It looked small from the road, but turned out to have plenty of seating, and is clearly popular with the local residents. Our starters of creamed spinach with cheese, served with garlic bread, and portobello mushroom, arrived quickly along with some small fresh-baked loaves of bread. Before we'd barely finished the starters, the main courses had arrived. I had the mesquite flavoured flank steak and my other half had the steak and prawns. Portions were massive and both steaks were excellently cooked. Service was excellent and friendly throughout and we left very content indeed. Top marks to an excellent local restaurant. We spent our second night in Niagara Falls. It turned out that the entire population of Niagara Falls that night was us, the two Irish tourisets and six japanese tourists (slight exaggeration) but the place was deserted, even though someone had forgotten to turn the lights off. We enjoyed having the town to ourselves though, but it did prove a challenge when trying to find somewhere to eat. We climbed the hill from our hotel, the Sheraton on the Falls, up past the amusement arcades until we came to Montana's Cookhouse and Bar. We stepped in the the unrelenting cold and seated ourselves in the bar area where several locals were enjoying their drinks. We didn't feel too hungry so we ordered the Nachos and Baby Back Ribs. Both portions were enormous, and as our server said "You guys just ain't used to these portions". We did our best with this delicious food, but we had to admit defeat before the end. Great ribs and well worth a visit. We arrived in Corning from Niagara, and checked into the Radisson SAS hotel. Corning town is spread out along the banks of the river, and is famous for it's glass factory. If you walk along the main shopping streets, you will find many shops featuring examples of local glassware. We walked along the charming West Market Street, where we had our choice of several restaurants to choose from. However, as we had spent several days eating american food, we were in the market for something a little different and we were tempted by the sleek looking The Cellar, which advertised itself as a Tapas Bar, Wine Bar and Martini Bar. At this stage, a light powdering snow was falling and we seated ourselves at the window so we could watch the world go by. 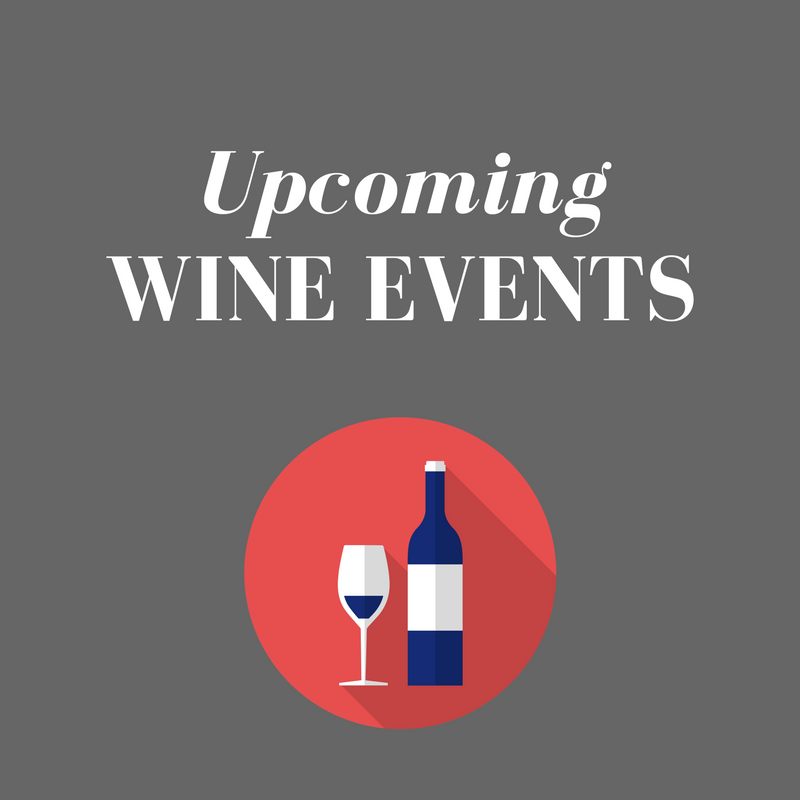 The Cellar has an extensive, if a little pricey winelist and we chose glasses of red and sparkling wines from the local Finger Lakes region. We ordered plates of baked brie with fruit, a tomato sald, wild mushroom ravioli and Babaghanoush. The salad arrived first and turned out to be light and tasty. The baked brie was not really ripe enough to be truly melting in the middle but the nice sliced fruit and crackers were a lovely accompaniment. The wild mushroom ravioli turned out the be the star of the show. They featured a lovely meaty flavour and texture in a deliciously creamy walnut sauce. Truly very good indeed. The babaghanoush, a baked aubergine dish served with wholemeal pittas, turned out to be slightly bitter, as if the aubergines had been undercooked. We pretty much left it as it was. Sitting in the window of The Cellar watching the snow falling down around us was charming and we smiled all the way home as we walked arm in arm down the street. The Cellar, 21 West Market Street, N.Y.
Our last night out on the road was spent in Harrisburg, Pennsylvania. We stayed in the Comfort Inn on the banks of the Susquehanna River. At this stage I had covered a lot of road, and was fighting a flu as a result of getting sprayed by freezing mist in Niagara. I didn't want to venture far from the hotel, so we went to the adjoining Passage to India restaurant for our dinner. The restaurant appears popular enough, and they've decently redecorated one dining room, which looked absolutely lovely. We ordered prawn and crab starters which arrived quickly. We were given sauces but had to ask for poppadoms to accompany them. My deep fried prawns, served with a tangy sauce, were tasty but I was disappointed with my main course. It was too heavy with an overpowering spice. I like spciy and will frequently be found in the 4-chili section of any menu but I found this to be cloying and full of heavy spices. My other half's main course of chicken jal frezi turned out to be much tastier and lighter. Overall, we had mixed feelings about this Indian restaurant whose food seems to be slightly dated. On our way from Harrisburg to Washington D.C., we stopped off at Leesburg Premium Outlets to do some shopping. In particular, I wanted to buy some jeans, and hopefully some shoes. Leesburg has one of my favourite outlet shops, Saks 5th Avenue Off 5th, and it didn't disappoint this time. I headed straight for the shoe section where I picked up a pair of L.A.M.B. Gem shoes (a kind of platform Mary Jane) in tan leather for approximately $80 and a pair of Betsey Johnson Florina peep-toe platforms with adorable black and white leather hearts for approximately $55. I was delighted with the shoes, but then I made a fabulous find while browsing the sale rack. 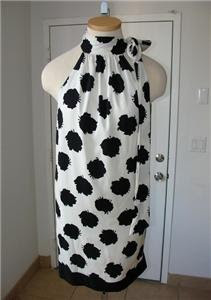 A Diane von Furstenberg dress marked at $80 but with 50% off!! I couldn't believe it. I love the fabrics that von Furstenberg uses and this dress features a lovely black floral pattern on an off-white background. This is definitely one to go into the wardrobe for that next party. I also picked up a fantastic black dress in Banana Republic for $25!! It's in the style of Roland Mouret and fits like a dream. At long last, I have the perfect little black dress. A trip to the Tommy Hilfiger store and I got one pair of very comfortable boyfriend fit jeans and a lovely pink cashmere cardigan for approx $55 (40% off in store). 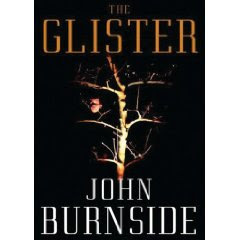 I received an ARC copy of The Glister by John Burnside - I'm not sure from whom as there was no slip inside the book and I've since thrown away the envelope. But thanks to whichever agent decided to put me on the mailing list. The Glister is set in the decaying, post-industrial town of Innertown. The land and the inhabitants are poisoned by the legacy of the now-closed chemical factory. Many people die from cancers and other illnesses and there is little hope of escape for the youth of the town. Adding to the misery are a series of mysterious disappearances of young males. We meet a series of characters including Morrison, the town policeman who keeps a melancholic secret and Leonard, a young male whose father is dying from exposure to the chemicals. In all, the book has elements of a horror story. The tale opens well and builds in an interesting manner. It is atmospheric and there is a pervading sense of unease and gloom. However, the book crept into the realms of the bizarre and fantastic as it moved towards the climax. It lost grip with reality and left me feeling quite bemused. I can see many plaudits coming in the direction of this book due to its oblique nature and interesting structure. However, I found it a little pretentious and unsatisfying. I got treated recently to lunch in the Belga Queen as I was departing Brussels to return to Ireland. It's located in an old bank building on the Rue Fossé aux Loups, and is a visually stunning restaurant. Tall ceilings, plaster motifs featuring the arms of the various Belgian provinces, stained glass and a genuine safe downstairs. The menu offers a business lunch at a reasonable €17, but we opted for a la carte dining. For starters I had trio de canard which featured a fried foie gras liver, foie gras pate and smoked foie gras pate. There was a wide selection of main courses and I was initially thinking about going for cod on a bed of crushed potates, but when I saw cuckoo on the menu, there was no further debate. The plate featured both leg and breast of cuckoo served with delicious gravy, asparagus and green beans along with homemade crisps and a piece of gingerbread. I couldn't find any fault at all with my food. It was well-executed and served beautifully. However, I found the service to be tardy and unwilling to exert themselves. We requested a missing order of fries at least 3 times, but it still hadn't appeared by the time we finished our main courses. Two orders of steak americane arrived well after the other main courses, despite the fact that no cooking was required. The Belga Queen offers great gourmet food in a beautiful, luxurious setting, but the awful service would make me reluctant to return for food in the future. Cocktails perhaps though. I seem to have read several books on the american college experience lately. All feature females as their lead characters and all follow the trials and tribulations of the young women to adjust and fit into the college lifestyle. First, there was Patricia Weitz's College Girl, followed by Curtis Sittenfeld's Prep. Both of these books were written by women, so it seems odd that Tom Wolfe, would attempt to write the same story from a female perspective. However, his daughters have recently graduated from college so I suppose he was inspired by their stories. He seems to have gotten inside the female mind to a reasonable degree but there are nuances that he just doesn't seem to have gotten. Charlotte Simmons, the eponymous heroine is from Sparta, North Carolina, an american small town. As class valedictorian and academic superstar, she is expected to go far, and is due to attend Ivy League Dupont university. She expects to meet her intellectual equals at Dupont, something which has eluded her so far in Sparta. However, she is disappointed to find that students are Dupont appear to be more obsessed with drinking, partying, making out and sports, than they appear to be with studying. Wolfe also highlights the importance of sports teams to the american university system. The story in not told solely from the perspective of Charlotte Simmons. We also meet frat boy king Hoyt Thorpe who is determined to be remembered as a legend within his frat house and white basketball star Jojo Johansson who undergoes a seachange in his attitude to his studies. I mainly like the character of Charlotte Simmons, though I did find her a little sanctimonius and overly naive at times. However, her growing attempts to fit in and be seen as popular will reverbate with lots of readers. The most endearing character in the book, as far as I'm concerned is Johansson, who is determine to move beyond the jock athlete stereotype. The book is quite long, but it literally zips by due to Wolfe's pacy writing and I never once found it a chore. Critics of the book have said that it does not accurately reflect college life but I never once felt that it over exaggerating. It's a whirlwind tour of the college experience, but its a remarkable acheivement for a male writer to capture a female mind so well. On Sunday, we decided we wanted something spicy and Asian for lunch. At the time we were near the Winter Market at St. Catherine's, which is close to a cluster of Chinese and Asian restaurants. We looked around, read several menus, dithered for a while and then opted for Yaki, a Thai-Vietnamese restaurant on Visverkopersstraat. It's a small restaurant with an open kitchen or cooking area where you can watch the chefs at work. The aroma in the air was delicious and the menu offered plenty of choices, at good prices. We went for a mixed dim sum starter and Tom Kha soup - both of which turned out to be generously portioned and very warming on a cold winter day. Mains were beef stir-fried with Thai basil and spicy sauce, which came served with a fried egg on top. Mixing the yolk into the stir-fry resulted in a lovely experience. Our other main of duck in red curry was also fragrant and tasty. Yaki was an excellent find, with tasty food at good prices. Well recommended. Come over to the Duck Side... Meet Duck Fadar, the Dark Lord of your bathtub. I first saw the Pond Lord ducks in a little gift shop on my decent trip to Brighton. You can choose from Pontrooper, Luke Pondwalker, Princess Layer, or my personal favourite, Duck Fadar. These little guys look super-cute, but more importantly, they feature water-activated LEDs. In other words, when you set Duck Fadar loose on the universe of your bathtub, he lights up and flashes his ambition to bring you over to the Dark Side! Brussels doesn't have a Christmas Market per se, but rather the Plaisirs d'Hiver (or the Winter Wonders). It's spread out in the area around St. Catherine, and comprises lots of stalls, a ferris wheel, ice-skating rink, ice sculptures and roundabouts. But in true Belgian style, they're not just roundabouts, but fantastic gothic, old-style carnival roundabouts with fantastic mechanised creatures and machines. It would make you wish to be a child again. Lots of stalls around the market were selling food-to-go. You could take your choice of waffles, crepes, burgers, bratwurst, mussels, oysters and seafood. We ourselves went for 6 oysters with glasses of white wine and gluhwein, which were fresh, plump and deliciously briny. Later, at the other end of the market, we found a stall selling mussels grilled with garlic and rosemary, so of course we had to go for some of these beauties as well. We shopped with determination at the market so that we could bring home delicious edibles with us. Near the Bourse, we found a stall which was selling dried, smoked beef. €15 bought us enough of this truly tasty delicacy to take home to the parents for Christmas. Later, near St. Catherine, we bought smoked sausages from Le Fumet des Ardennes (fumetdesardennes@edpnet.be), followed by some Mousse de Magret Fumée (smoked duck mousse) from Le Foie Gras Upignac. The last of our purchases was a truly spectacular spinach anad Emmenthal quiche from a local bakery - what a pity I didn't get their name as it was excellent - light and fluffy. So there you have it, a very brief tour of the Brussels Winter Market. It was a beautiful and tasty day out and I'll raise a glass of gluhwein to doing it all again. December 6th is the feast-day of St. Nicholas, with gifts being distributed to children on the evening or night of December 5th. It actually is more important than Christmas Day to children in Belgium. I had noticed gigantic St. Nicholas' constructed from speculoos for sale in some shops but I had no idea that the feast-day completely replaced Christmas as a time for gift-giving for children. This weekend was my last weekend in Brussels for the time being, and so I decided to call to Pierre Macolini to pick up some nice stuff to take home. Pierre Marcolini is regarded as one of the best chocolatiers in the world, and I can tell you that his chocolates are damn fine. The shop at the bottom of the Sablon is always busy and Saturday was no exception. One quick stop and we were on our way with 6 chocolate St. Nicholas' for distribution to children, friends and family. It's an easy walk downhill from the Sablon towards the Manneken Pis. I've already written about this little guy and I wanted to see him once more before leaving Brussels. It turns out that the Manneken Pis was celebrating St. Nicholas' Day - by wearing a St. Nicholas' costume. The big white fluffy beard covering that little face just cracked me up. He was utterly adorable. Following an extrmely accurent and scientific test on OKCupid.com, apparently I am Queen Victoria! I can live with that, she ruled a country for a long time, in a progressive era of history, and was in love with her husband for all of her life. You are: Victoria, Queen of England, 1819-1901. 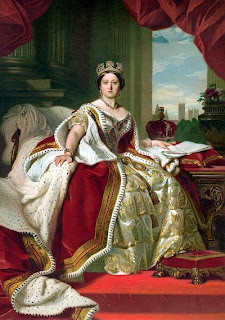 Queen Victoria's reign was the longest in English history. Called the Victorian age, it was a time when Britain was at the height of its colonial power. Victoria became a symbol of British expansionist foreign policy. She insisted on taking an active part in the decisions of the government, and forcefully backed those ministers she liked. She herself was most proud of her role as wife and mother - she had nine children. After the death of her beloved husband Prince Albert, she went into a period of deep depression, dropping out of public view for three years. Her popularity increased in her late years, particularly during time of national celebrations, like the Jubilees of 1887 and 1897. I found The Visible World to be an entracing and tragic tale of lost love, war and its aftermath. The tale is told as a partly truthful tale by our narrator who is the child of immigrant parents in the United States. His parents left Czechoslovakia following World War II, eventually settling in the states. The author grows up in a loving household but is aware of some sadness and mystery that permeates his parents life. His mother is melancholic and his father is accepting and protective. Eventually the grown up narrator travels to his parents native land to attempt to understand the past. The second half of the book really shines as the author describes events surrounding the 1942 assassination of Nazi governor Reinhard Heydrich and a tragic love story concerning his own mother. The love story is deeply touching and remains engraved in your head and heart long after you finish the book. The prose is elegant, and despite the slow first half, there is something wonderful and worthwhile about this book. I've always known that we're a bit hit and miss in Ireland when it comes to cooking steak. All too often the steak is not cooked on a hot enough grill/pan and it's often over-cooked. Here in Brussels, Irish beef is considered to be among the best and they cook it with style. I've eaten top-notch steak in New York and I always wonder why we can't get it right here in Ireland. Now we have the Buenos Aires Grill - an Argentian-style steakhouse. 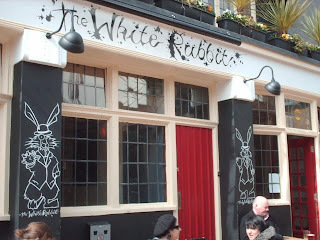 It's located next to the Radisson Hotel on Golden Lane. We entered on a Saturday afternoon for lunch but found the place to be deserted. Granted, it was a freezing cold day and it was hard to tell from the outside if the restaurant was open or not. The decor is a bit cold, though that could be mainly due to the lack of other diners. It has ample seating with separated dining areas for those looking for a bit of privacy. The tables have linen tablecloths, crystal wineglasses and silverware. However, the lunch prices are on the very nice side of reasonable and I hope that this continues. We went for the Argentian pasties and calamares for starters. The pasties were nicely spiced in a nice flaky pastry while the calamares were excellently cooked in a very light batter and served with garlic mayonnaise. For mains I went for the steak and fries, cooked rare, while my other half went for the grilled shrimp served with pasta. When the steak arrived, it was clear that it hadn't been cooked quite hot enough, but it was an excellent piece of meat. The star of the show however was the grilled shrimp and pasta. It was a large plate of tagliatelle pasta served with jumbo juicy grilled shrimp and it went down a storm. Service throughout was excellent, and I definitely will be back for a return visit. The Buenos Aire offers excellent value for money, which is something to enjoy these days. I hope that its slightly out-of-the-way location will not be a negative. You can tell that someone is making a genuine effort here and has put thought into the design of this restaurant. Total damage for two starters, two mains, a coffee and a latte came to €41. Buenos Aire Grill, Unit 2, Castle Way, Golden Lane, Dublin 8. So I've finally finished my Sam Bourne binge-read. 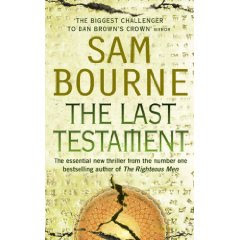 For the finale, I read his first book last, following reading "The Last Testament" and "The Final Reckoning". Like his other novels, this tale draws heavily on historic and religious references. It features an amazing immersion into the world of the Hasidic Jews in New York. It's probably the strongest of his books, despite being the first. The general story - a newspaper reporter uncovers a series of seemingly unrelated murders. His wife is kidnapped and he is receiving cryptic text messages from an unknown individual. The journalist has unwittingly become the central character in an apocalyptic scenario of amazing scale and imagination. The Righteous Men is an entertaining and interesting read. I was never quite of the Guns'N'Roses era - I was a tiny bit too late for that. However, "Welcome to the Jungle" is constantly on the playlist on my iPod along with other tracks. There is no doubt that Guns'N'Roses were an incredibly successful rock band, due to the excellent vocals of frontman Axl Rose and amazing sounds of guitarist Slash. Their debut album Appetite for Destruction was a major success but the band fell into controversy over the death of two fans at a concert in England and the controversial cover artwork for "Appetite for Destruction". Slash was the lead guitarist from nearly the start of the Guns'N'Roses story and is an immediately recognisable figure due to his trademark top hat and big hair. He is acclaimed as one of the modern guitar heroes and even featured on the cover of the game Guitar Heroes III. His autobiography (assisted byAnthony Bozza) is Slash's own attempt to tell his story. He tells it in a manner that is open and honest. He rarely apologies or attempts to conceal his actions. He simply tells it as he saw it. He begins with his childhood and family life and descibes his initial encounter with a guitar. However from there on in, there is very little mention of music in the book (in a technical sense that is). The book is more about Slash than about his music. His alcohol and drug-related excesses are presented as is his struggle to eventually become clean and be a father to his two sons. Fans of Guns'N'Roses will love the descriptions of the band's rise to success and manic tour adventures. The tension between Axl and Slash is described, with long-reaching roots to early days. Slash often refuses to say anything truly bad about his former band member and this is to his credit. Slash is famous for his open character and honesty, and that shines through in this book. His love for the music and respect for the fans is evident. This is the real story of how it all went down. After working hard for many weeks, and meeting our deadlines, it was time for our team to have a night out. Additionally, several team members are rolling off shortly (myself included) so this was one of the last times we would all be together. We settled on playing pool so we trekked through the Parc Royal to Pool Gate on Chausée de Wavre. There was much whinging from theb Belgian contingent who were leaving their cars parked on the opposite side of the Parc, but little sympathy from shown to them from the ex-pats. Pool Gate turned out to be quite a cool bar, featuring 5 pool tables, as well as comfortable leather armchairs. The decor is reminiscent of a gentleman's club and we quickly settled in at two tables for a mini-tournament. Turns out that the database geeks are fairly handy pool players with a pretty decent standard across the board. Personally, I was worried that the corrective surgery on my eye would have affected my pool playing, but I can gladly report that all errors and missed shots were entirely due to myself. Following the pool-sharking, we headed along to Anarkali Indian restaurant, which features an all you eat buffet for €17 (or €28 with alcoholic drinks included). There were a huge amount of chafing dishes on show with plenty options, but to be honest I found the food lacklustre. The food wasn't spicy in the slightest and sauces were slightly watery. However, the staff were excellent and friendly, and if you were after value for money, then this place definitely does that. I've posted before about my dwarf hamsters, but considering how much joy and happiness they give me, they deserve a lot more space. Today, I'm introducing Zorro, a female winter white dwarf hamster who is approximately 18 months old. She shares her cage with Mojito, a male, and the poor man is henpecked to death by her. She is undoubtedly the dominant hamster in cage, constantly harassing and bothering poor old Mojito, who I imagine just wants a quiet life. She loves to run and clocks up miles every night in her wheel. I've often walked into the kitchen/living room at 4 or 5 am to find Zorro looking at me from her wheel. Mojito, on the other hand, is definitely a much more easy-going hamster, only running the odd time. I just think that Zorro is a little ball of energy. I took these photos with my new Nikon D40 and was delighted with some of the results. I want to get photos similar to those you see in pet books, but to be honest, Zorro wasn't the best photography subject as she's just too active. In the end, I had to bribe her with a little crumb of bread just so she would sit still long enough. In the picture below, she's doing her downright best to escape from the impromptu pen I created on our living room floor. Sometimes you just have to read thrillers, especially thrillers with religious conspiracy overtones. Reading these books is like finding that sweet spot when scratching your back. Sam Bourne is the man of the moment, replacing Dan Browne as the readers choice. I recently read "The Final Reckoning" and "The Righteous Men" as well as "The Last Testament", all in quick succession. Israel and Palestine are close to accord, settling the age old dispute that has wracked the region for generations. Top negotiator Maggie Costello (an Irish woman if you will!) is asked to assist in the talks but other peoples machinations and an age-old document (nothing less than the testament of Abraham himself) threaten to derail the process. I won't reveal much more than that but what you have here is a fast-paced, action-packed book that entertains while delivering some historical and political information. I didn't think that the characters were hugely developed (and I'll always question a male writer choosing a female lead character). Like other Bourne books, I found this one to be well-researched and the author manages the mix history, politics and drama quite well. Teddy bears are a bit of an in-house entertainment for me, and I noticed this book in a charity shop one day. The teddy bear connection was enough for me to buy it and give it a try. I also learned that this book is part of the 'cozy' subgenre of crime fiction where violence is downplayed or treated humourously. I had never heard this term before but wasn't surprised to learn that Miss Marple, or Murder, She Wrote are considered examples of the subgenre. Bradley and Ashleigh Lyon are artisan teddy makers, taking part in a Baltimore teddy bear show. Bradley is a retired homicide cop from SFPD. 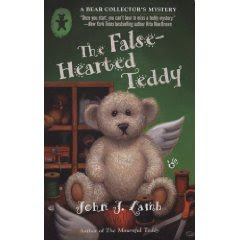 While there, the creators of the Cheery Cherub teddy bear line dies in suspicious circumstances and Bradley's interest is piqued. To be honest, the story is standard mystery with a liberal line in wisecracking and humour. Bradley is a bit moralistic but it's an easy read and if you are a true murder mystery fan, then this isn't bad at all. The one thing that confuses me is that I can't figure out how the title links to the story. I've turned into a fan of many of the restaurants in the St. Boniface area of Brussels. It's within easy walking distance of my apartment and when I arrived into Brussels on a cold Monday evening, I headed straight to Boniface to get some food. To me, there's very little point in going to somewhere familiar when there are new restaurants to be visited, so I headed to Citizen which proclaims itself as Asian Cooking. The restaurant is small inside and decorated in black tones with a projection screen on one wall. At night the interior is dark with lighting provided mainly by night lights on the table. It's serious atmospheric. When I visited, the restaurant was surprisingly busy for a Monday evening, and most tables were full of couples or groups of friends out for a chat. However, I squeezed myself and my laptop bag into a table for two and settled down to relax. 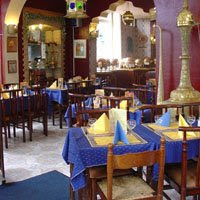 The menu takes you through all main asian cultures and represents great value for money. I went for an assorted set of starters, to be followed by beef penang curry. All main courses come with rice (where applicable) and a bowl of prawn crackers was placed on the table while I waited. The starters turned out to be 3 spring rolls comprising different fillings. Unfortunately, two turned out to contain celery, which is my demon vegetable and it marred the dish for me. However, the rolls were crispy and substantial. The beef penang was served in a little pottery crock, along with a large portion of rice. It turned out to be that rarest of things in Belgium, namely spicy! It wasn't as hot as I longed for, but it was spicier than a lot of Thai food I've had here. So kudos to Citizen for that. The toilets are located downstairs down a winding stairs where it is hard to see where your foot is going. The toilet roll dispenser featured 12 rolls of toilet paper along with the one in use. That just tickled me pink. Citizen strikes me as a restaurant providing good value, tasty Asian food in a romantic and convivial setting. It's listed as one of the cool restaurants in Brussels and it's easy to see why. My two courses, a bottle of sparkling water and a cubra libre cocktail resulted in a total bill of €30. Obviously there was something wrong with the Cornerhouse Grill formula, because it has been replaced by Soho, a restaurant offering friendly, comfort food at good prices. Good things have been done with the decor as it's much brighter than the dark wood interior of the Cornerhouse Grill. I did like the Cornerhouse Grill - it just wasn't going to work in Dublin. The first time I went, I had the cheesy soufflé and steak - divine, but a bit pricey. Then I saw that the menu had changed - you know the kind of change I'm talking about - the kind a restaurant does as it fights the downhill slide. So I must say that I wasn't surprised to see new arrival Soho in its place. The new version, Soho, is good. We went for Brunch on a Saturday morning. I was surprised to see that they didn't start serving food until 11.30. It's close to Christmas and people will have been shopping since earlier. To miss out on at least 2 hours of potential trade in what is a tough climate seems a bit daft. I went for the corned beef hash, fried egg and green salad while my partner went for the haddock, egg and hollandaise sauce. The food turned out to be excellently executed - very good indeed. My corned beef hash did not feature any green salad at all, but to be honest, the rest was so good that I barely noticed. I would say though to the chef that a fried egg does not mean a poached/steamed egg. Get out a pan and actually fry the egg! The haddock in the other dish was the real smoked deal, not the artificial smoked version that's so common. Two lattes, two coffees along with the food bought the bill to somewhere in the region of €40. I liked Soho a lot, and definitely will be back. It's no secret that I have a thing for 50's dresses. They work on me and I love the shape and style inferred from wearing them. 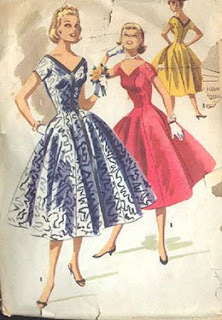 This McCalls pattern is just lovely, but what really caught my eye was the expression of the woman in the red version. 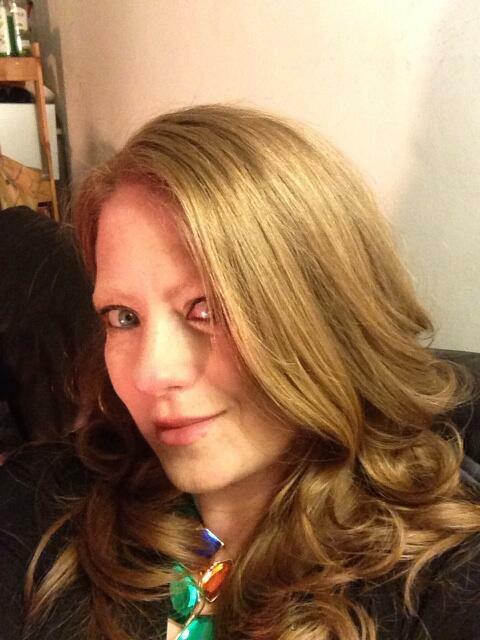 Just what is up with the snooty finger held just below her lip? Is she saying that the lady in the foreground is just too much? I got invited to a wedding at short notice, and I was desperately wondering what to wear. I have a wardrobe full of lovely beautiful dresses, but being in Brussels, working on a time-consuming project hasn't left my waistline with kind memories. Anway, I was browsing in Debenhams in the Frascati Centre, Blackrock, when I came across this beauty on the sale rack in Oasis. 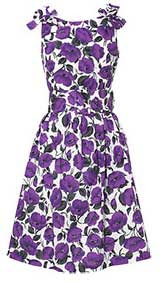 It's a stunning 50's reproduction, inspired by prints at the Bath Fashion Museum. There is a little layer of tulle under the skirt to add a little body and there are lovely little bows on the shoulder straps to add a little focus to the neckline. The back is cut low for what appears to be a demure little dress. It's just adorable and I got it for the princely sum of €34! Max Payne, starring Mark Walhberg, Mila Kunis (from That 70's Show) and recent Bond girl, Olga Kuylenko, is the latest video game to hit the big man. It wouldn't be an understatement to say that the film inflicted a fair amount of pain, both on the baddies and on the audience. The film is dark, moody and scowling, just like the lead character. "Atmospheric" snow-laden shots of the city fail to work and the twists and turns of the story do not inspire. This is a film that looks great on paper. Cop movie, featuring some great actors (Voight, Norton and Farrell). Unfortunately, it's a dull, seen-it-all-before, corrupt cop movie that just doesn't cut it. Recent television series such as The Wire have truly upped the ante when it comes to cop-based entertainment, and Pride and Glory should have paid some attention to their success. The climax is gawkish and clichéd and leaves you wondering what the hell they were thinking. Combine this with "gritty" cinematography (in other words, dark and/or grainy) and the product is a film that I damn near fell asleep in. This film is a fantastic development in the Bond series of films. Its predecessor, the first film to feature Daniel Craig as James Bond, somehow fell a little short of the mark, but I believe that they've nailed it this time around. It's time for Bond fans the world over to grow up and look at the modern times. Bond doesn't fight camp villains who live with their cats/sharks/lasers (delete as appropriate) in secret underground lairs anymore. Instead, the villains are now businessmen and politicos, people who governments are willing to interact with, distasteful as it may be. Craig's Bond is a man for these times. He's grittier, definitely tougher and does a meaner line of suits thanks to Tom Ford. The Bond series of films is always entertaining, but the humour has taken a darker twist in these recent two films and they've left the slapstick humour by the wayside. Sorry Q, but these days everyone has supergadgets in their pockets. Instead, we get a much more refined and dark sense of humour. Action still abounds and pretty girls fill the screen. Some things will never change for Bond, but he's definitely grown up and come of age. This is a thoroughly modern Bond for a thoroughly modern time. You might think that this book is in the vein of the Da Vinci Code. Who could blame you? It's about the Knights Templar, ancient secrets and Christianity as well as following an ancient trail of clues and puzzles. However, I'm glad to say that this is a deserving novel in its own right. Steve Berry has undertaken some thorough research and woven it into a tense and thrilling tale. As well as being an exiciting and fast-paced tale, the author leaves us with a bit of food for thought at the end as the great secret of the Templars is revealed. An interesting slant to a book typical of its genre. The Templar Legacy is easy to read and will entertain anyone who enjoys this type of historical thriller. Ultimately, it's more than the sum of its parts and one of the best of its kind.